the blue fence after many hours of getting paint on everything, post hole digging and sweat is finally coming to life and greeting passerbys. The blue fence is quite lovely. It is whimsical and one that I come to love at first sight. 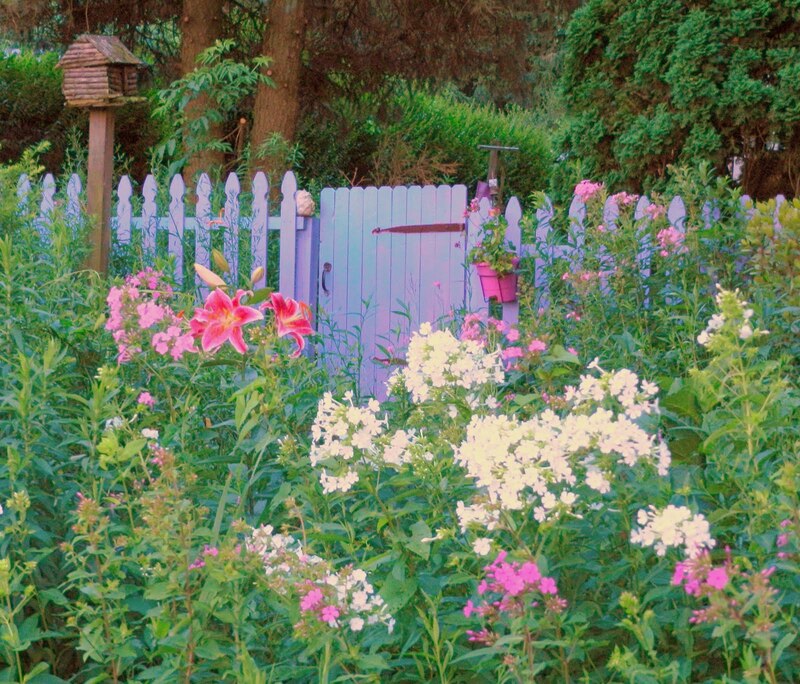 I love your blue fence! How did you add the touch of purple to it? It gives the colors such a lovely glow. Lara thank you! I use purple and blue paint and just swirl them together, makes painting more fun and it is so pretty when the sunset shines on it, it really does glow.